Ruth Smeeth said she was relieved that the “ordeal” was over almost two years after Marc Wadsworth launched a verbal attack on her. Mr Wadsworth’s expulsion followed a hearing by Labour’s disciplinary body which found his behaviour had been “grossly detrimental to the party”. 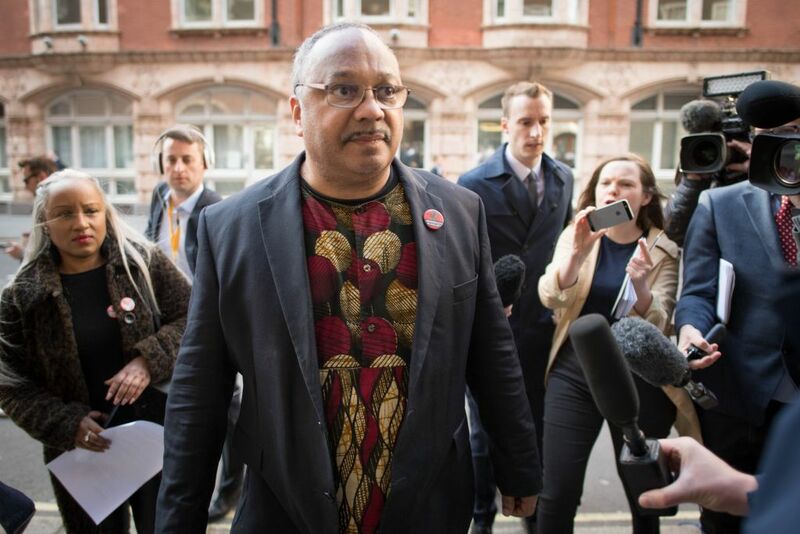 A Labour Party spokesman said: “The National Constitutional Committee (NCC) of the Labour Party has found that two charges of a breach of the Labour Party’s rule 2.1.8 by MarcWadsworth have been proven. Stoke-on-Trent North MP Ms Smeeth said: “Abuse, bullying and intimidation have no place in our movement, as today’s announcement has proven. 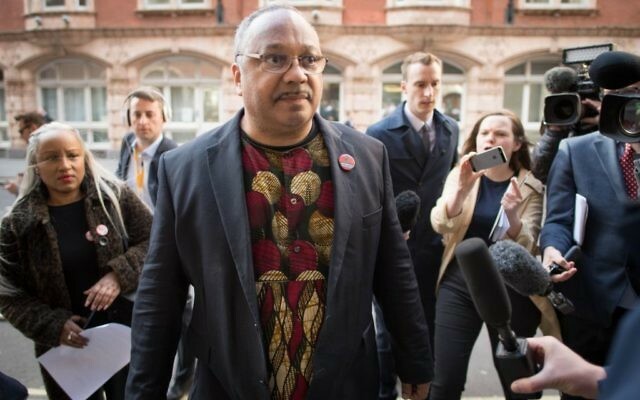 Mr Wadsworth, who runs Momentum Black Connexions, had accused the MP of “working hand in hand” with The Daily Telegraph during a tirade at the launch of the Chakrabarti report in 2016. Dozens of Labour MPs had marched in support of Jewish colleague Ms Smeeth as she prepared to give evidence at Mr Wadsworth’s disciplinary hearing this week. Following his expulsion, Board of Deputies president Jonathan Arkush said it was the “right result and is a step in the right direction”. The decision on Mr Wadsworth came as Ken Livingstone – who is currently suspended from Labour over remarks linking Adolf Hitler and Zionism – said rows over anti-Semitism in the party are a “complete diversion”. Mr Livingstone told LBC: “I’m not discussing anti-Semitism until after the election is all out the way because it is a complete diversion. “We had this last year in the run-up to the local elections then. We had it two years ago in the run-up to the election of Sadiq Khan. “It didn’t damage us at the last two local elections but it is a complete diversion. Mr Livingstone avoided expulsion in April at a disciplinary hearing into his conduct but was suspended for a further year. One of the flashpoints at a failed meeting between Jeremy Corbyn and Jewish leaders over anti-Semitism in Labour was the party’s handling of the former MP’s case. The attempt to smooth relations with the community backfired for the Labour leader as leaders of the Board of Deputies of British Jews and Jewish Leadership Council (JLC) accused him of failing to back his words with action. But Unite union leader Len McCluskey voiced “disgust” at backbench Labour critics of Mr Corbyn, raising the prospect that those who have attacked him over issues such as anti-Semitism could face mandatory reselection. Gillian Merron, chief executive of the Board of Deputies of British Jews and a former Labour MP, said the meeting with Mr Corbyn “did not go as well as hoped” but there had been “positive movement” in recent days. Writing on the LabourList website, she said it was concerning when Labour MPs “show support to people who have been barred for anti-Semitism, as this suggests that what they are accused of is a small matter”. Labour said 90 current cases of anti-Semitism are under investigation, making up around 0.02% of Labour’s membership of around 500,000. Over the past three years, a total of 300 complaints have been made over anti-Semitism, around half of which had led to people being expelled from or leaving the party.